Fancy a bit of snowboarding or skiing action during the day and a party at night? The Snowbombing festival offers all this and a whole lot more over five days in early April. Primarily about the snow sports, this festival takes place in Mayrhofen, Austria giving you plenty of chances for you to get out there on the white stuff and learn how to ride skis or a snowboard. This is one where you’ll need to pack some serious energy with you. The energy on the snow is matched by the killer vibe here at Snowbombing with a musical backdrop to match. You can expect a little bit of everything in sharp contrast to the Beats and Breaks that usually dominate events of this type. The organisers have done all they can to provide an eclectic mix of sonic entertainment that goes right across the board – from classic Rock and Britpop acts through to the latest cutting edge in underground DJs etched in pure cool. 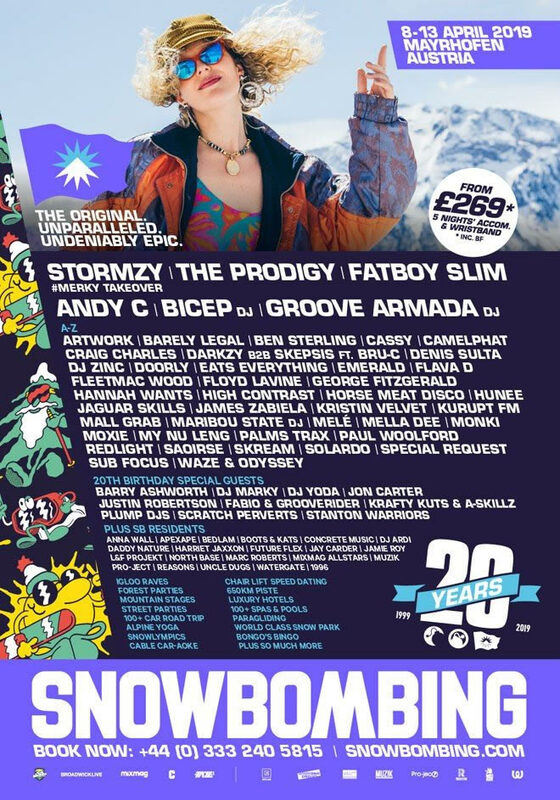 Of particular note at the Snowbombing festival is the Ride N Seek event, which is billed as a snowboarding competition like no other, where some of the best professional names throw themselves down the Penken Park course and over the trick ramps. There’s also a fancy dress day that comes complete with a ton of false moustaches attached as attendees paint the white backdrop with a glorious splash of colour for the day.